Providing trade and finance services which support efficient commercial relations of Viohalco companies with their clients and suppliers, at globally competitive terms. Elval, Hellenic Aluminium Industry S.A.
All products marketed via International Trade S.A. are produced by the Viohalco industrial companies. The quality, delivery and after sales service of the products is warranted by the industrial companies, with their well-known track record of long term value to the customer. Elval is one of the leading aluminium flat rolled processors worldwide. 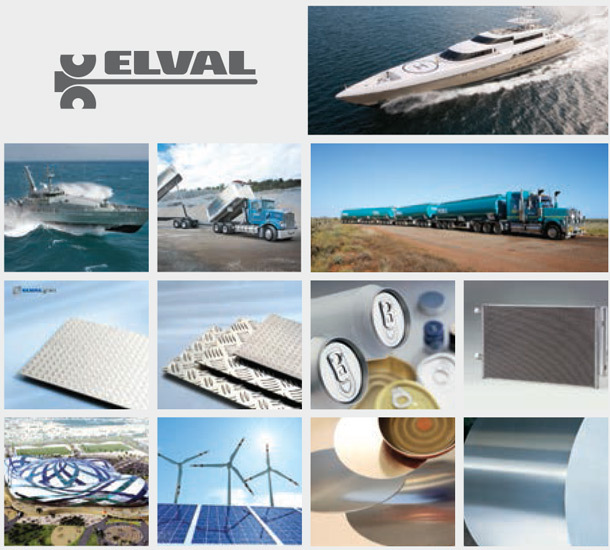 For more than 40 years, Elval has been recognised as a trusted partner, committed to sustainable and innovative manufacturing of a broad portfolio of high quality aluminium products and services made for the industrial, packaging, construction, shipbuilding, automotive, energy, and HVAC markets. Through an established global commercial network in more than 80 countries and 7 production plants in Greece, Elval exports over 80% of its production and is able to offer reliable and competitive solutions that meet the requirements of the most demanding global customers. Through its Technology centre, a department dedicated to R&D, Elval is able to introduce both innovations in manufacturing processes and high quality products. Elval having intense focus on investing in cutting edge infrastructure and product and process development is able to supply its multinational customers with innovative products and solutions of excellent quality that generate high levels of added value. Industrial and commercial companies worldwide, in the sectors of packaging, transport, automotive, shipbuilding, construction, electrical and electronic applications, etc. 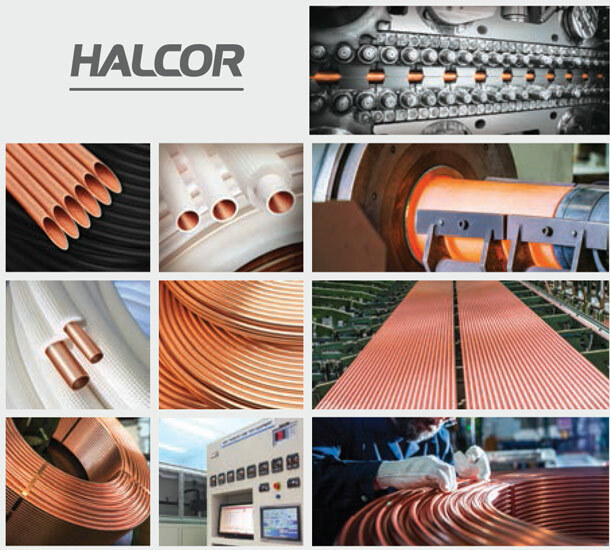 Halcor is a leading producer that specializes in the manufacturing of copper and copper alloys products with dynamic commercial presence in the European and global markets. For more than 75 years, Halcor has been offering innovative and added-value solutions that meet contemporary client demands in fields, such as plumbing, HVAC&R, renewable energy, architecture, engineering and industrial production. As a result of its strategic investments in research & development, Halcor is recognized as one of the leading copper producers globally, setting new standards in copper processing. Halcor maintains a consistent focus on quality and environmental protection and a strong commitment to the principles of sustainable development. In this context, all production facilities in Halcor’s plants leverage advanced technologies to bring in the market innovative products that are energy efficient and environmentally friendly. The Cablel Hellenic Cables Group is one of the largest cable producers in Europe. With a strong export orientation and focus on development of value added products and services including turnkey projects such as high and extra-high voltage cables and submarine cables, the Group makes significant investments towards enriching its product portfolio and enhancing its sustainability profile. The Group’s wide product range, which is sold internationally under the Cablel® trademark, extends to PVC, EPR and XLPE insulated power cables (rated up to 500kV), marine and low smoke halogen free cables, fire resistant cables, telecommunication, signal and data cables with copper conductors or optical fibres, as well as fire retardant halogen free plastic and elastomer compounds and enamelled wires. Technical know-how is combined with continued investment in state-of-the-art machinery to ensure levels of efficiency and quality which meet the strictest standards. Commitment to quality and sustainable development has been a key factor in enabling Cablel Hellenic Cables Group to establish a strong market position internationally. The Company’s highly experienced technical and managerial staff have a strong commitment to technological excellence and outstanding quality, which ensures that users of Cablel® products have made a reliable choice. 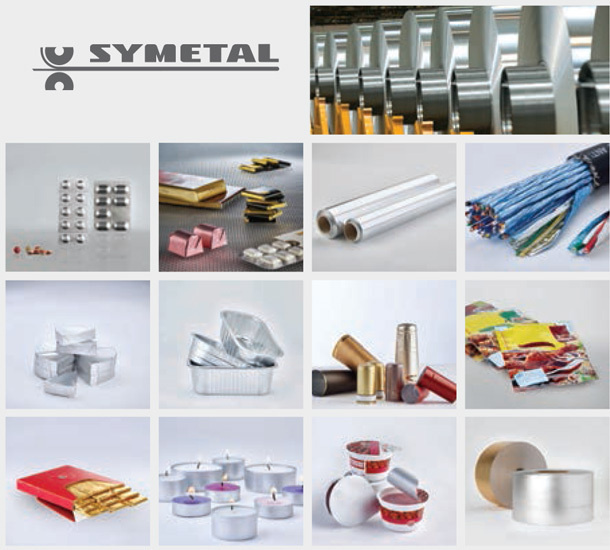 Symetal produces aluminium foil (from 6 to 200 mic) and aluminium flexible-packaging materials. The Company is highly export-oriented with 95% of its sales carried out into more than 60 countries in Europe, the Middle East, Africa, the Far East, America and Australia. The rolling plant is dedicated to the production of plain aluminium foil in a wide range of thicknesses and alloys. The converting plant focuses on the conversion of aluminium foil into a number of packaging applications. used in a diverse range of building and industrial applications. Sofia Med is a producer of a wide range of rolled and extruded copper and copper alloy products such as sheets, strips, plates, circles, disks, bare and plated copper bus bars, rods, profiles, components, and wire that are used in a wide variety of building and industrial applications. Sofia Med is situated in Sofia, Bulgaria, on a 250,000 m2 area and has three production units: Foundry, Rolling and Extrusion mills. With over 80 years of manufacturing experience and significant investments, Sofia Med has evolved into a competitive modern European company with customers internationally. Sofia Med operates under strict quality, environmental, as well as health and safety management systems, in compliance with ISO 9001, ISO 14001 and OHSAS 18001 standards. The company conforms to the guidelines ISO 26000:2010 on Social Responsibility. 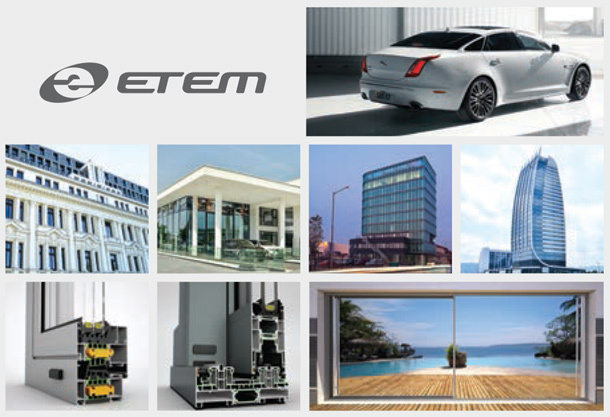 Etem is a leading aluminium extrusion supplier, a fully integrated designer and producer of architectural systems and aluminium profiles for the automotive industry and other industrial applications. Through continuous innovation and investments, cutting-edge equipment and people, Etem is an international company with worldwide exports and presence. The company is committed to serving its customers with value added products and services, thus establishing and maintaining longstanding relationships. Etem holds a strong position in Southeastern Europe and tirelessly pursues opportunities for penetration and establishment in more countries and emerging markets. The company remains loyal to its customers and keeps its promises for continuous innovation, bespoke solutions, integrated assistance throughout a project, and strategic business thinking, supporting customers’ commercial success. Special profiles (THN, Boron flats). Stomana Industry is a leading steel manufacturer in Bulgaria. The company has been present in the Balkan and international markets for more than 60 years, and produces a wide range of products, including reinforcing steel, heavy plate, merchant bars, special steels, special profiles and sections. Stomana Industry continuously invests in the most up-to-date technology, in order to ensure high quality products and high standards for customer service. ACSR, ACSS, AAC, AAAC and HDCU overhead conductors. Halogen free and fire retardant compounds. A leading producer of steel products in South East Europe. With more than 55 years of industry know-how and expertise in steel, Sidenor and Sovel high quality and innovative solutions to their customers. The key characteristics of their products of are: outstanding quality; strict adherence to applicable standards and regulations, excellent customer service through their extensive sales and logistics network, innovative features providing customers and end users with added value. 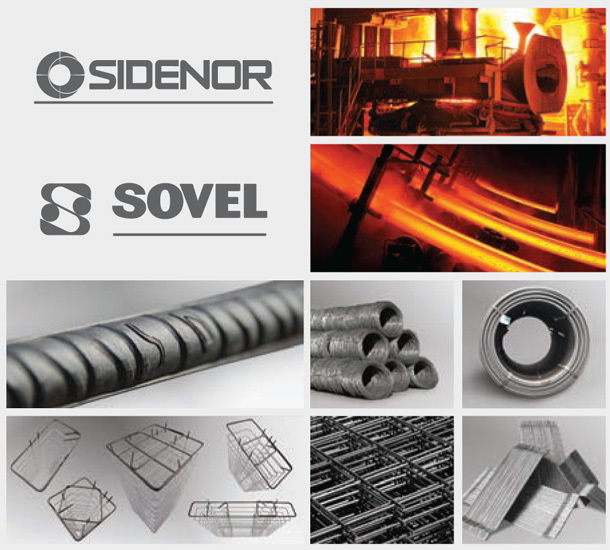 Sidenor and Sovel products are mainly used in major technical construction works, industrial applications and in the energy production sector, among other uses. Project locations span Germany, the Balkans, Algeria, Israel and the U.S.A. Sidenor and Sovel are global suppliers providing a full range of solutions in the steel sector, to cater to the complex needs of its clients worldwide.